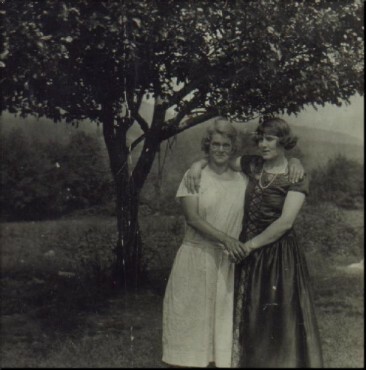 Comments: Hazel Winnifred Love (Nee: Dean) | ME | 1921-1940 | Comments: Alice Scolfield Clark is on the left. She is next to one of her daughters, Hazel Dean. Alice married Walter Dean and had 3 children. She & Walter were divorced and she married Ralph Whitehouse and had 2 children. Hazel married Percy Love and had 7 children.